Bird Cams Around the World • View topic - GRAND OPENING!!! Post subject: Re: GRAND OPENING!!! And special thanks to SusanE for packing & porting all the Aussie threads over here good on you! ~ you need only look into the eyes of an animal to observe pure "Power of Now"
Sorry, wish I could take credit, but thanks go to skygirlblue, Beth and catwoman for launching the Australia section and topics here! They DID do a great job! OMG! Is there any cake and coffee left! Congrats to all the worker bees at the Forum; you folks ROCK! But, hey, I'm still glad I raised a glass to yr very good self SusanE & I'll do it again Great Party! George--This aint my pride and joy. but I was here before KILROY! Did you make that up...or is that for real....too funny!!!! 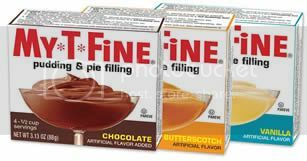 No, "MY-T-FINE" is a real brand rival of Jello pudding mixes. I used to binge on thier butterscotch pudding mix and preferred it to Jello. This is why in another forum i will refer to a photo as a "pudding shot" because it is My-T-FINE just like our new roost is!!!
. . . it is My-T-FINE just like our new roost is!!! of laborious work to start up the new-very cool BCAW forum. 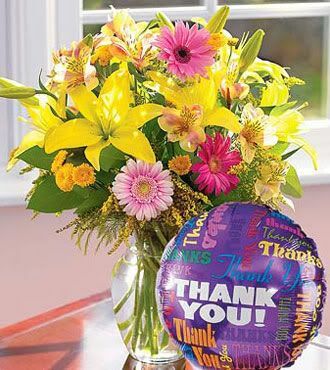 To all of you that have made this incredible forum possible "THANK YOU". If I had been the one doing it you would probably have to wait till Christmas. I'm still trying to figure things out. I think I finally got my profile right!! The only downfall for me with the new forum is that I can't access it at work. I work for the state and they have it blocked. Again thank you all for a wonderful job!!! Now what does the State of Pennsylvania have against us . . . I work for the State Police and they block everything!!! My shift changes every week with 7 day stretches so when I work 11-7 and 3-11 (after 7 p.m. slow and not much to do) and weekends, boring - in the past I could access the old forum. A lot of the posted pictures wouldn't open but I could deal with that. I think it's the address because I could access .com. This one is .net so the state says that it is not authorized. There are so many hackers that their security is ridged. I'm going to see if I can get authorization to access this but I'm not holding my breath! If I can't I'll have to wait until I get home from work. I'm really disappointed because although I may not post a lot I am an avid follower. This is great. Hi to everyone on the forum, old and new. Thanks so much for all the hard work that's gone into this. What a super way to end the northern hemisphere breeding season. Beth, Birdmusic, Catbird, Catwoman, gigi, Jazzel26, obxbarb, Reenie, SusanE and MaryAnne! Thank you and awesome seen inadequate. I am truly amazed and delighted at what a wonderful job you have done. Your hard work and dedication have made this new forum feel as if I've really come home and I look forward eagerly to exploring every nook and cranny of this new site. Thank you SOOOO much!